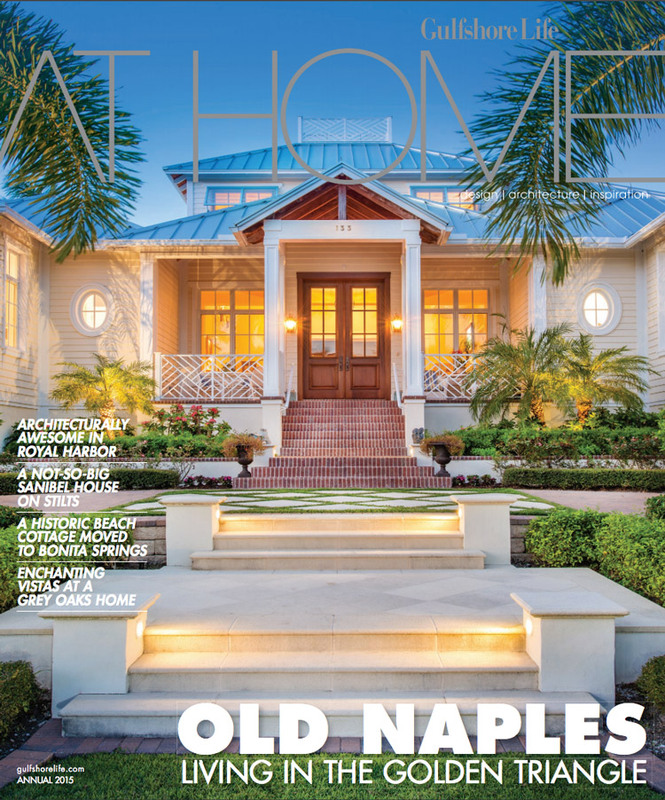 For the second year in a row, a home we build has graced the cover of the annual At Home magazine published by Gulfshore Life magazine. At Harwick Homes, we are passionate about building homes that inspire others. That’s why this charming stunner in the heart of Old Naples was such a joy to build. And with its central location in Old Naples, its intimate feel and space for owners and guests to feel at ease but connected at the same time, At Home magazine took notice.